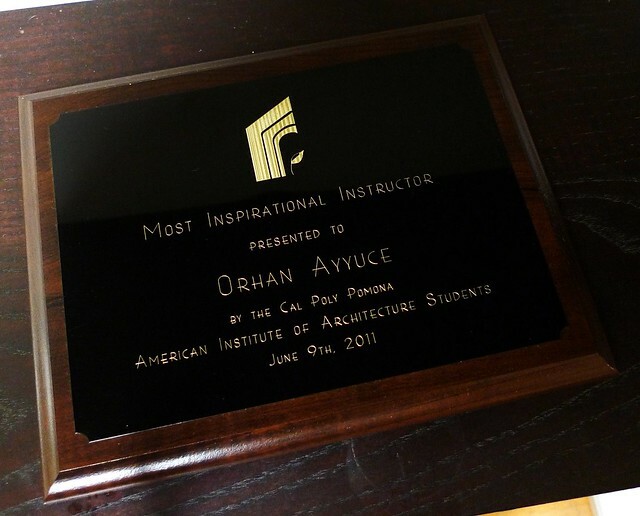 Orhan Ayyüce is a long time contributor to Archinect as a senior editor and writes about architecture, urbanism, people, politics, arts, and culture. His featured articles, interviews, news posts, and instigations are frequently published here. He is a licensed architect in California. Selected work. Bonjour Paris or Salaam Bombay? Orhan is blogging his thoughts and impressions late at night. L.A. the INDUSTRIAL CITY is vast and beautiful.To drive from downtown to Port of Los Angeles on Alameda Corridor is a railroad state of mind and these are some of its stations. "Touching Base" is a series of mini-interviews meant to expose, promote and occasionally burn highly talented people in architecture, who are working outside of the mainstream's limelight. Mike Davis and I met on a summer day in San Diego. He graciously drove his truck and showed me his collection of “interesting sites” he planned for us to see in the area. As we were visiting those places, we talked about variety of subjects.